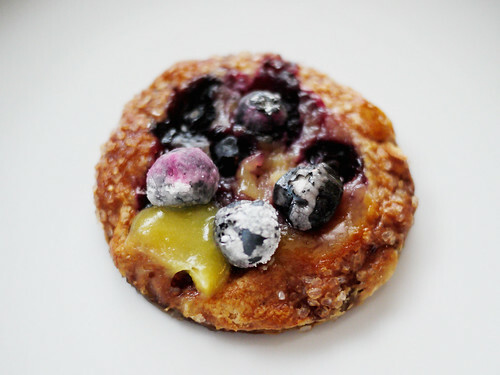 We hesitated at $3 apiece for Birdbath's mini summer tart but Kathy liked it and that's an impeccable reference. I still don't know if $3 is worth it, because it was rather small, but on the other hand it was rather perfect too. The caramelized edges, the lemon custard, the alternating sweet and tart of the blueberries - delicious. that is a perfect gem of a tart! beautiful.